When most people think of grilled chicken they think of BORING. Well there are a few ways around this. First you need to cook the chicken perfectly. Second you need to add a bunch of flavor. Mastering grilled chicken is a skill you really should have. 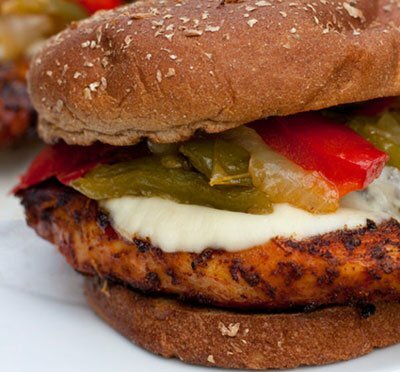 Here’s a simple wet rub recipe for a grilled chicken breast, topped with melted provolone cheese and sautéed onions and peppers. This is good. The ingredients for the chicken fajita style wet rub can be found in the following link. 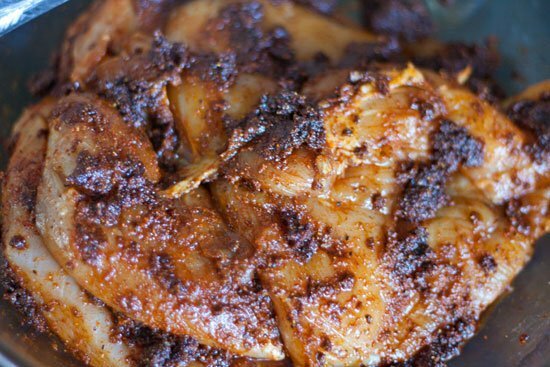 It is a really simple and very tasty wet rub. You just mix all the wet rub ingredients together, then add the chicken. You can make the wet rub and coat your chicken with it for hours ahead of time. If you do this make sure you keep the chicken in the refrigerator. I always end up buying massive chicken breasts when they are on sale at the local grocery store. The breasts are so big they usually require butterflying. This just means to almost cut it in half. 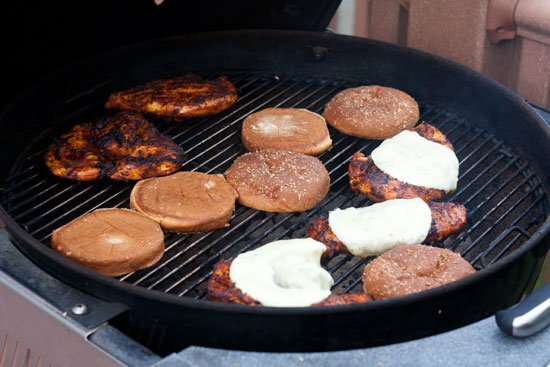 It’s much harder to grill a 1.5 inch thick chicken breast than a butterflied one. I do the butterflying prior to adding the wet rub ingredients so the spices can get inside the chicken a bit more. You can also use a fork to puncture the chicken a bit. Rub that wet rub everywhere and don’t be afraid if it clumps a bit. When you are almost ready to eat grab a pan and drizzle some olive oil in. Cut up the peppers and onions and toss them into the hot pan. Keep stirring until the onions caramelize and the peppers are really tender. I like to do a slow heat for about 20-30 minutes. This way you don’t risk burning anything and the onions and peppers are guaranteed to be tender. While your chicken is sitting in the wet rub prepare your grill for a medium high heat. 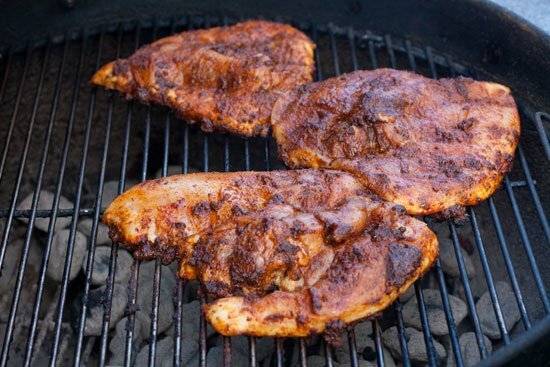 Be sure to leave a region with no coals so you have a safe zone to move the chicken if things are cooking a bit too quick. When you can hold your hand one inch over the grate for about 3-5 seconds you are ready to put the butterflied chicken down directly over the heat. Don’t even peek at it for a good 5-6 minutes. Let it cook, then flip it over. Above I mention that there are two keys to cooking grilled chicken breasts. The first is to cook it perfectly and the second is flavor. Well this wet rub provides all the flavor you need so that one is taken care of. The cooking to perfection part really only requires a thermometer. Most of the time people overcook chicken breasts and then they become dry and awful. 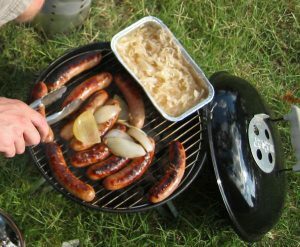 Poke a Thermapen or other type of food thermometer into the thickest part of the breast and remove it from the grill when it reaches 165 degrees, no higher. You didn’t hear it from me, but you can really get away with pulling it off the grill in the high 150s. The chicken will keep cooking quite a bit while it rests and you assemble your sandwich. In the above photo I put the provolone cheese on top of the chicken breast when the internal temperature of the chicken reached about 150 degrees. I closed the dome to really let that cheese melt. 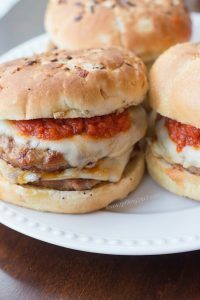 During the last 30-60 seconds I put the hamburger buns on the grill so they could toast. You must toast your buns. I repeat. You must toast your hamburger buns. This is a really nice and tasty chicken breast sandwich. I don’t add anything to it. No mayo or any other condiments are needed. The chicken is juicy, the cheese is melted and those sautéed onions and peppers provide all the flavor you need. 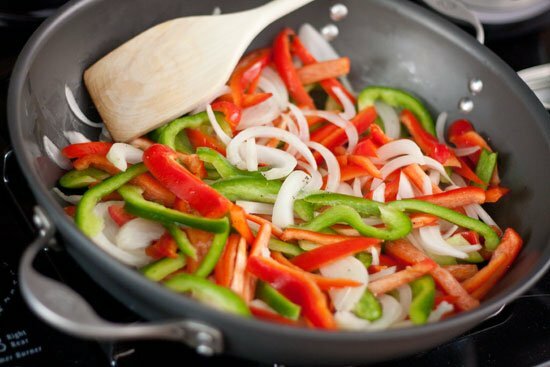 If you don’t have time you can easily skip the sautéed onions and peppers. 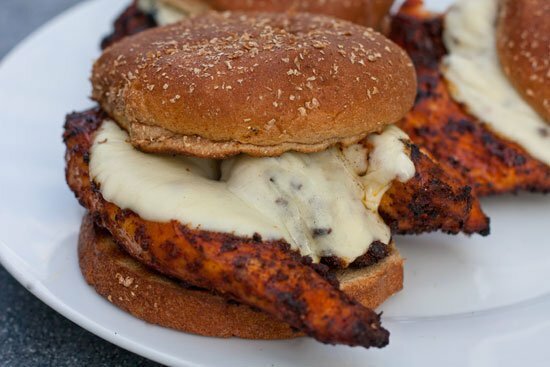 Melted cheese on a spicy chicken breast is a fantastic combo! 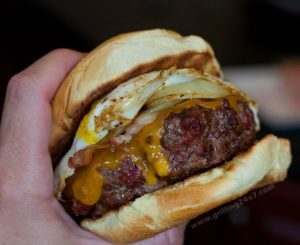 A Bacon Cheeseburger Topped With Egg!